It’s that time again! We are already 4 months into the year and you are probably dealing with those frustrating clutter antics. The problem may not even be having too many things it could simply be difficult to be more organised. That’s where we step in to lend you a helping hand with our easy remedies for a more organised home. Above all, you won’t need to worry about giving/throwing away those precious belongings of all. Now, when we say clear unnecessary items, we mean clear anything you genuinely; have not used, will not use and don’t plan anytime soon to be using. Why keep your home cluttered with items that you know will have no use or place in the rest of your home. Simply get rid of it, maybe you could gift it to a relative or friend. Donate to a local charity, sell online or at a car boot sale. If it is broken and not fixable then throw it away! Colour coordination can bring a level of satisfaction to the eye. Whether you have OCD or not, coordination of some sort is always appealing. Think of when you see someone wearing an outfit that simply flows and the colours are all in sync. Doesn’t it look appealing? This same method of coordination can be applied in the home too. 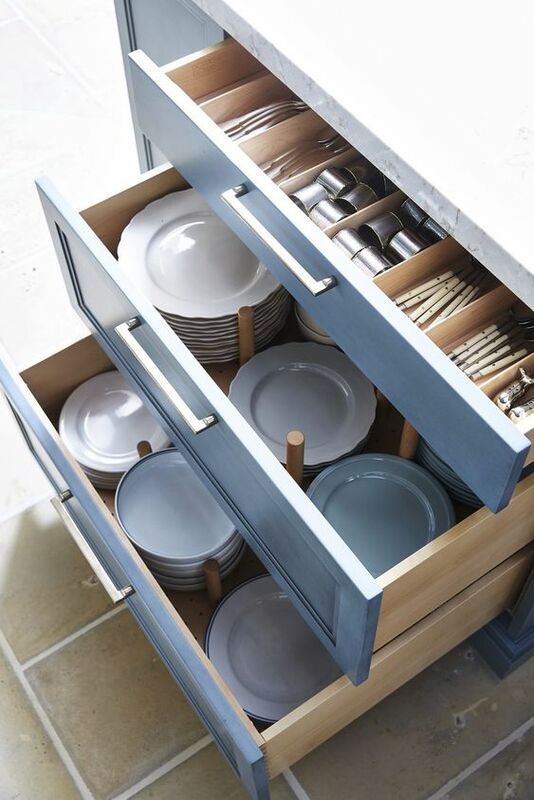 Try organising your clothes in your wardrobe by colour, or your utensils in the kitchen drawer by size. Labeling is an effective way to keep your belongings organised. When you label something, chances are you would not only remember to put the item back in the correct spot but you would also be able to find that item again more easily. Get creative with your labels, but keep them specific so you know exactly where each item goes. On another note, labeling is perfect if you have kids too! They could help with labeling which boxes their toys go into. Finally, you have got everything in order. Now you can maximise that space by keeping it organised and having furniture that doesn’t encroach on your space. Additionally, putting up mirrors and painting your walls in a brighter colour can generally make a smaller space feel bigger. The reflection of the light on these surfaces can enhance the room you are in and make the space you have more maximised.